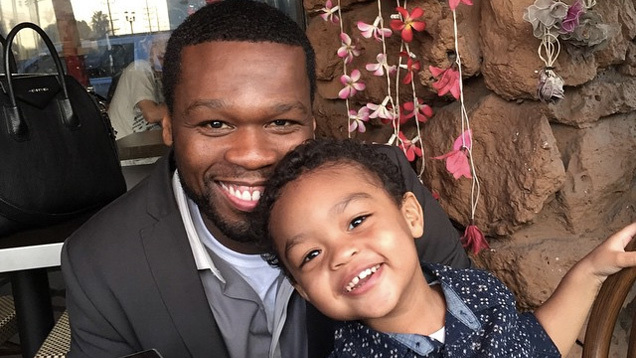 According to prolific Instagram troll 50 Cent, his 2-year-old son Sire recently landed a $700,000 modeling deal, a dollar amount roughly equivalent to 1.4 million his dads. The rapper—who, let's be honest, might not be the most reliable source when it comes to information about 50 Cent—gave that figure during an interview last week with Power 105.1 FM's Angie Martinez. After the radio host suggested his son was "model cute," 50 excitedly replied, "He actually got a deal!" adding, "They paying a big payment too: 700." While at first it seemed 50 might have been using a more reasonable unit for a child's salary than thousands of dollars (like, say, Cheerios), he later clarified that Sire was getting "700,000 to be the face" of headphone maker Kidz Safe. "He's super cute!" explained the rapper, which, I guess, fair enough.